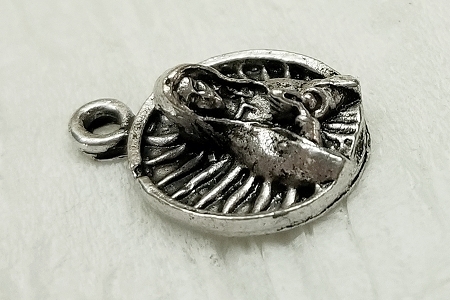 Such an elegant feline deserves extra praise and to be made famous as a charm or pendant. This stylized cat reminds us of the 1960s and 1970s, but is just as calm, cool and collected as a clever cat might be! 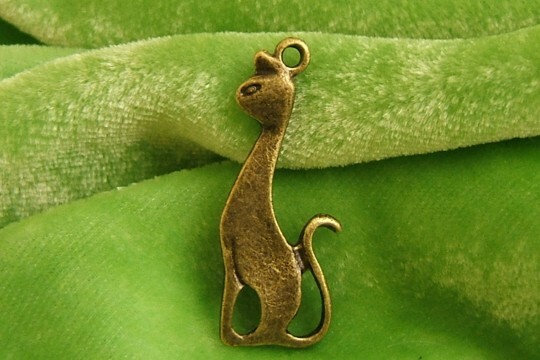 Including the hanging loop, our cat charm measures 1 inch high by 7/16 inch at the widest.